Easyflow side panels and Zippered Half-Moon end-panel vents provide airflow and temperature control. 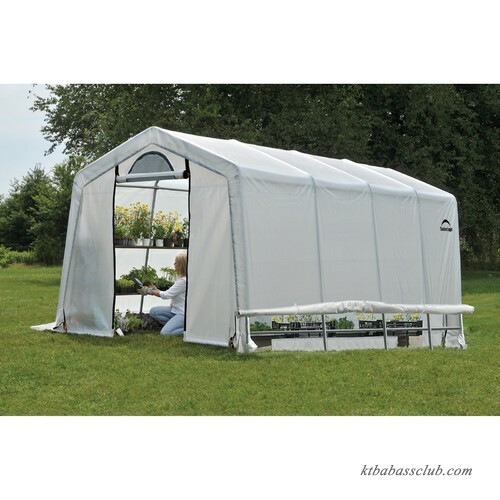 ShelterLock Stabilizers ensure stable and durable shelter. Overall Height - Top to Bottom: 98.2\"
Overall Width - Side to Side: 237.97\"
Overall Depth - Front to Back: 117.45\"